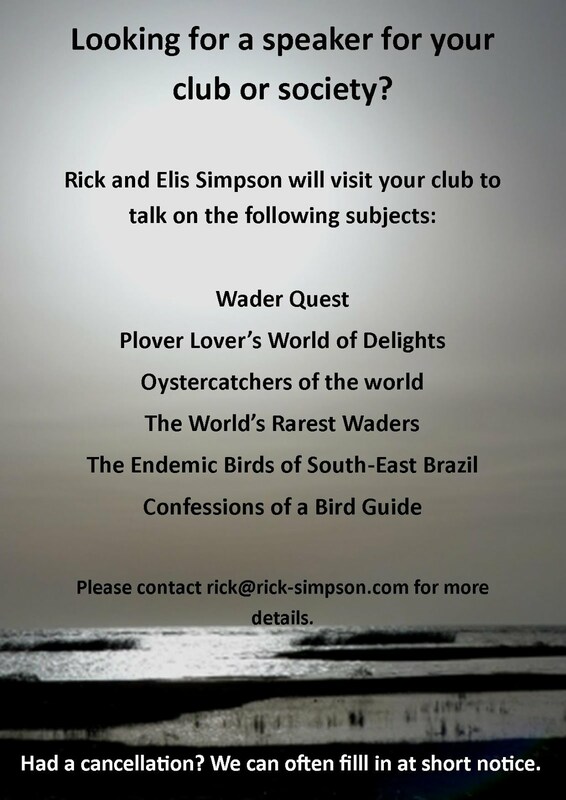 Rick Simpson Birding: More snow and more excitement in the garden. We had to replenish our feeders and water bowls six times today. We had continuous procession of birds in the garden, and a couple of new ones too; Wren and Song Thrush. We tried to record events as much as possible as we fear that once the snow has gone our feathered friends will largely dessert us. sometimes it means donning outdoor gear and opening the door! The snow started at about 08:30, very fine at first, we took the opportunity to go out while we could and by the time we returned at about 10:00 it was snowing properly and continued to do so all day and into the night. Large numbers of Starlings stayed in attendance all day, squabbling with each other most of the time. The other bird that we had in big numbers was the Blackbird at one point we had 14 of them together, a mixture of females, 1st winter and adult males. I can't recall ever seeing so many Blackbirds in one spot before. We still haven't seen a Redwing, but there's still time, with all the commotion that goes on around our house at the moment any passing flocks will be sure to see it and come and take a look. The Fieldfares certainly found us that way. Although the flock only put in a brief appearance today, one bird remained all day on our front lawn, venturing only once to the back of the house. He tucked in to the apples and defended them against all comers, but at times he was swamped by the sheer numbers of the starlings. Fieldfare enjoying the apple unchallenged... for now. It remained by the apple nearly the whole time. And came at it from all angles. Later in the day when the snow had got deeper. It defended its apple with gusto. proved too heavy in the end. The Song Thrush was a brief visitor to the front garden, he didn't stop long, but we hope he'll return. Our brief visit by the Song Thrush, the first we have seen in the garden. Starling behind is tucking into the sultanas we put out. The Wren was seen on the back fence, it snuck through from the neighbours garden and then searched for something to eat in the small plants we had planted earlier this year, he didn't find much I don't think and soon flew to the top of the fence and over into the alley behind. We had two Pied Wagtails today, both came to the back garden and drank from the water bowl there. A single Jackdaw came down too into the back garden for the first time, but he didn't feed before flying off. Chaffinches and Goldfinches continued to come and go most of the day, the Chaffinches at the front of the house the Goldfinches at the rear for the most part. I still have my fingers crossed that something rarer may drop in, such as a Siskin, or a Redpoll or even a Brambling, maybe even the Nuthatch we heard calling not half a mile from here recently. A few Black-headed Gulls spend the day scavenging in the neighbourhood and come down when new supplies of bread are provided. We have a resident hedgehog that lives in a little house that Elis made for the purpose, we hope he is snug in there. Gracias Isidro. La nieve llevó muchos pajeros para el jardín!